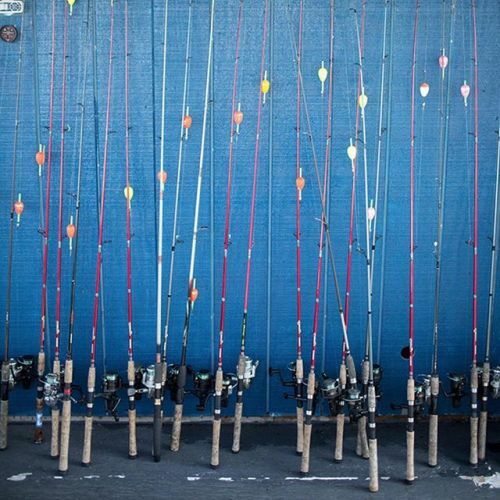 “Fishing rods at Twin Pines Resort on the shore of Mille Lacs Lake in #Minnesota. This summer, things have been quieter than usual. Early in August, the state’s Department of Natural Resources banned walleye #fishing for the rest of the season on the lake, which is perhaps the most famous place in the state to fish for walleye. It’s hard to overstate the affection that Minnesotans have for the fish, a large, olive-and-gold-scaled creature with snow white flesh that is flaky and sweet. But there’s little agreement on the reasons for the apparent drop-off in the walleye population. @ackermangruber photographed Mille Lacs Lake on #nytassignment. #fish” By nytimes on Instagram.